You gotta love an author who manages to turn complex scientific theories and millions of years of history into an easy-to-understand thesis -- even if that thesis is that humans are causing mass extinction. Elizabeth Kolbert’s book “The Sixth Extinction: An Unnatural History” centers around two ideas: that humans are witnessing a very high rate of species extinction and that we're causing much of it. 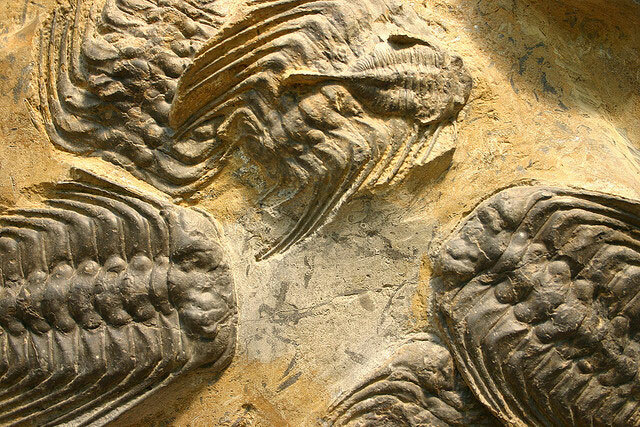 "The worst mass extinction in the history of the planet happened about 250 million years ago at the end of what’s known as the Permian period. And it’s believed that it was caused by this major burst of volcanic activity that emitted a lot of CO2 into the air and warmed the planet very radically and changed the chemistry of the oceans very radically. 3. Invasive Species Have Created a "New Pangea"
“Invasive species actually are implicated in, some people would say, the majority of extinctions we know about. Invasive species turn out to be really important. Effectively about 250 million years ago all of the continents of the world were smushed together in this supercontinent that has been called Pangea. And then they drifted apart due to plate tectonics and we eventually got the world as we know it, with seven continents. What we’re doing by bringing together all of the flora and fauna of the world just by transporting things around the world, in a biological sense, is erasing those boundaries between the continents and smushing them back together. So a term has been coined: the ‘New Pangea.’ We are creating the New Pangea. We’re bringing everything back together. “[The fungus] has been traced back to Europe – it came over quite possibly on someone’s shoe, or in their suitcase. It almost certainly landed somewhere in upstate New York, because that is where we first started to see these huge die-offs. It’s very devastating to bats, it gets on their skin, it irritates their skin. You can see it. It looks like the bats have been dunked in talcum powder or cocaine, some people have said. 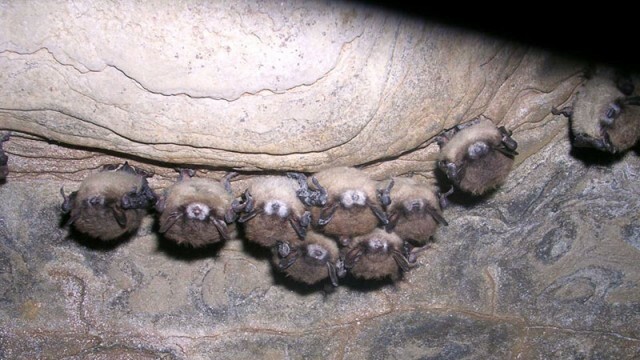 What happens is that bats in the North Eastern U.S. hibernate during the winter. So they hang by their toes, their body temperature drops, their immune system shuts down and they really, really need to conserve energy. They are very small little creatures, they need that energy to get through the winter – there’s nothing to eat. And this fungus irritates them, they wake up, they fly around, there’s nothing to eat, they drop dead." 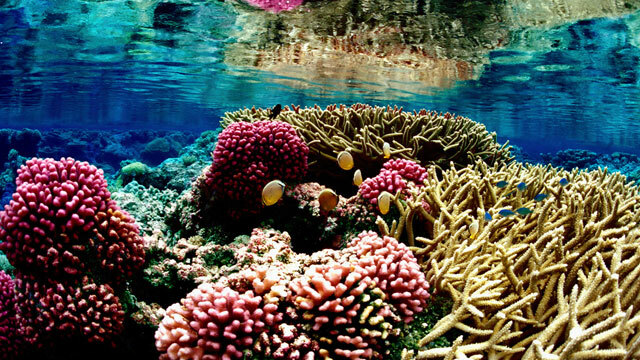 “Many marine scientists believe that coral reefs will be the first major ecosystem to be done in by human impacts. So there will still be corals, but they will no longer be able to form these fantastic reefs that support a tremendous variety of species anywhere between half a million and something like nine million species spend part of their lives on coral reefs. Changing water temperatures are really dramatically affecting reefs. Reefs have this interesting symbiosis going on. They have algae inside them, that feed them, that provide carbohydrates for them and that they get a lot of their energy from. And when water temperatures get too high this relationship breaks down, they expel [the algae] and they basically starve to death. “If you talk to scientists – certainly if you talk to marine scientists – one thing that really, really worries them that has not gotten the press it deserves is this issue of ocean acidification. That’s the phenomenon where, when you pour CO2 into the air as we are -- there’s just no debate about that, we’re pouring about ten billion tons of carbon into the atmosphere every year just by burning fossil fuels -- a lot of it is going to end up in the oceans. When CO2 dissolves in water it forms a weak acid. It forms carbonic acid … And it’s changing the chemistry of the oceans very radically." "People are actively interested in this question precisely because we seem to be in another mass extinction event. What comes through? What tends to come through these extinction events? And they’ve found very very few rules. It’s very hard to say that there’s a rule. The dinosaurs were the dominate group on Earth for tens of millions of years and they all – every species of non-avian dinosaur dies out. Why is that? No one really knows."